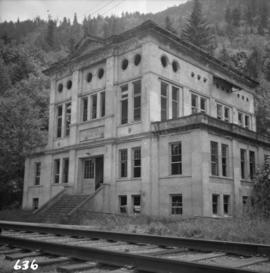 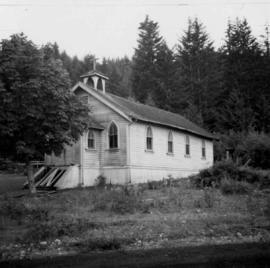 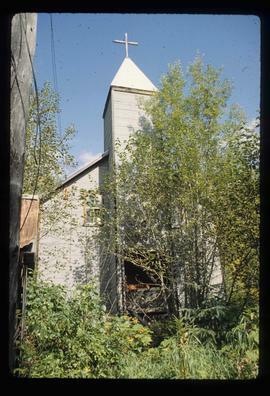 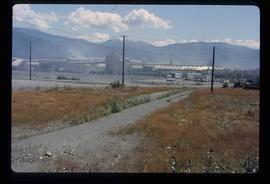 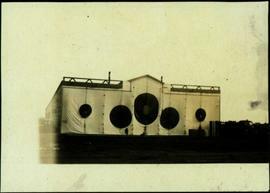 Photograph depicts the abandoned Sumas substation at Vedder Mountain. 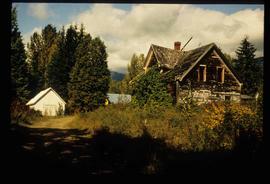 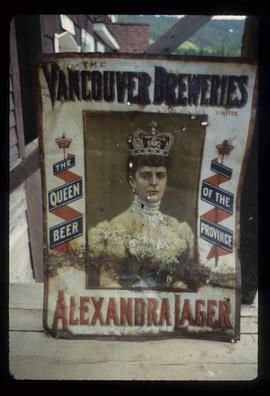 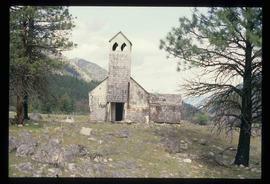 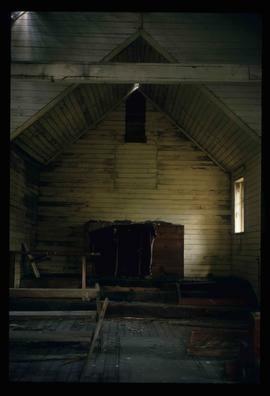 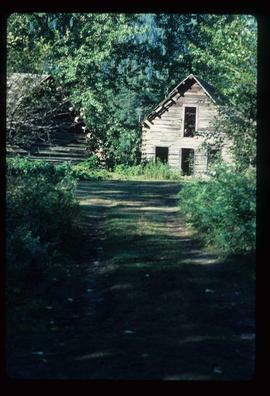 Photograph depicts an abandoned cabin about 100 yards from the Fraser River on Bridge River road, about 2 miles out of Lillooet. 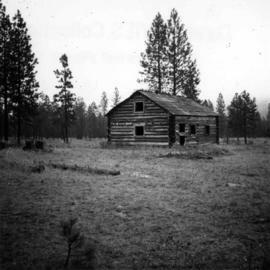 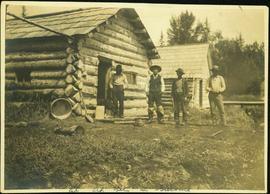 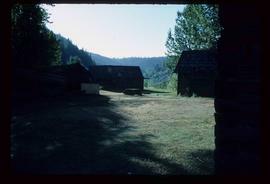 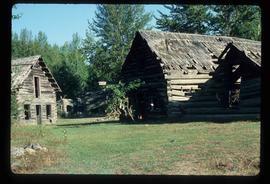 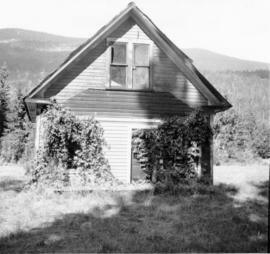 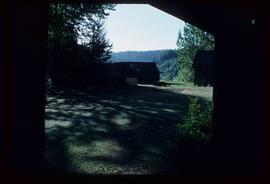 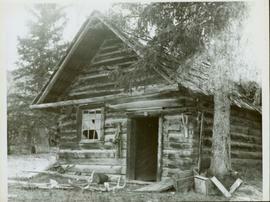 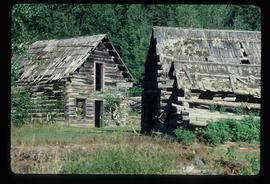 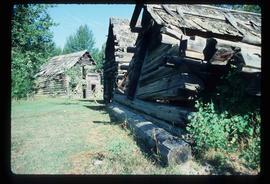 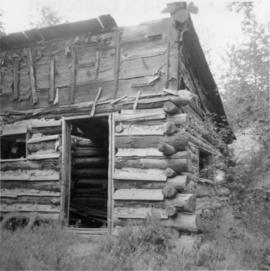 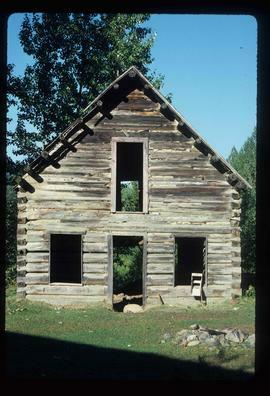 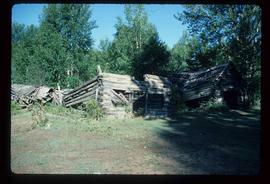 Photograph depicts an abandoned log cabin in the Kettle Valley between Rock Creek and Westbridge, on the east side of the road approximately 5 miles from Rock Creek. 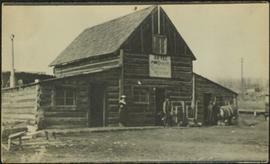 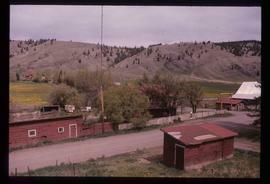 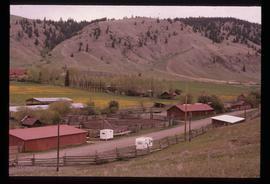 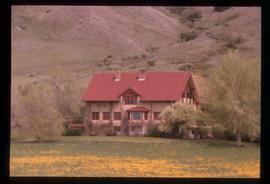 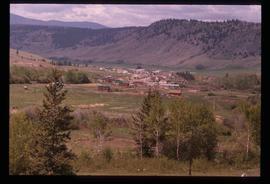 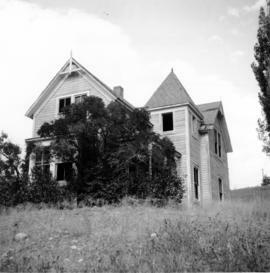 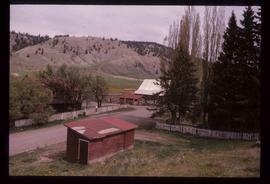 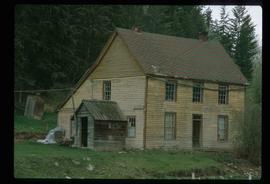 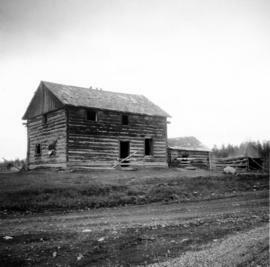 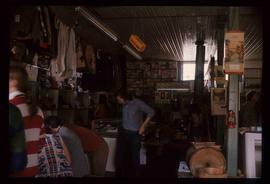 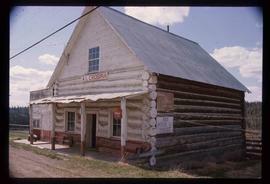 Photograph depicts an abandoned ranch house, southeast of Rock Creek, north of an abandoned GNR grade, and about a mile north of an international boundary. 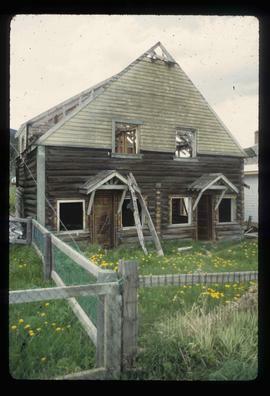 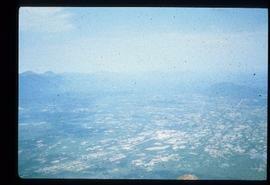 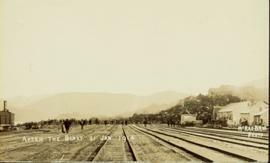 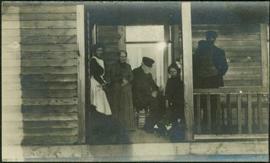 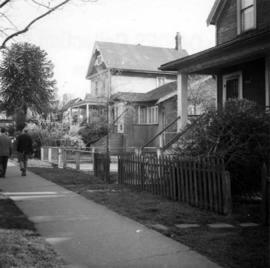 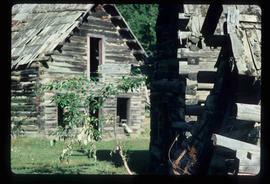 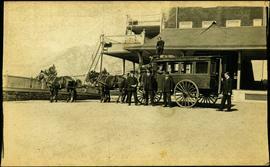 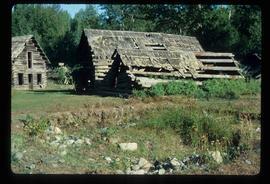 Photograph depicts an abandoned settlement. 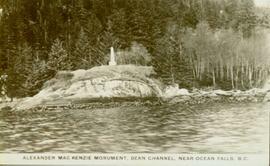 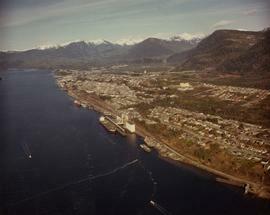 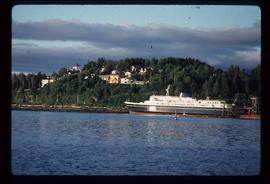 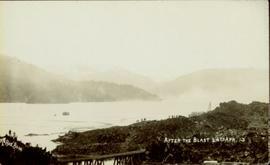 Photograph depicts an aerial view of the Prince Rupert shoreline. 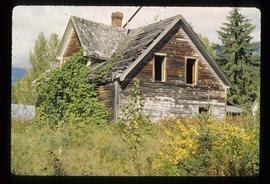 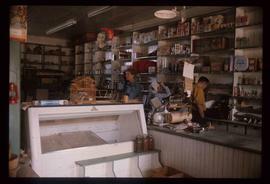 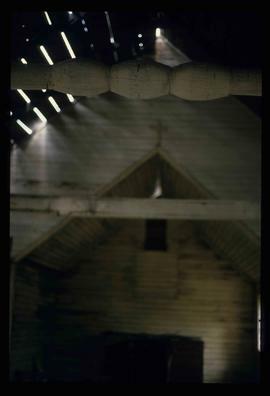 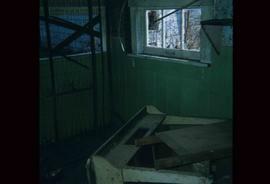 Image depicts an old, rundown building at an uncertain location.